I used to be the highest of high heels sort of girl. 'Mid heel' never existed in my vocab. I couldn't understand the lure of flats and I certainly never wore them; the closest I ever got to a trainer was for dance classes only and even then I much preferred to dance ballroom than street, at least it meant I got to wear a heel! And then, a couple of seasons ago, the midi became the go-to height for fashionistas the world over. Suddenly, tottering about in manner of a drunken stilt-walker over the cobbles wasn't the one; it was much more impressive to be able to stride out with aplomb (whoops, mind the poetry!) and a mid heel allowed this to happen beautifully. I purchased a couple of pairs of 'midi's' and suddenly revelled in being able to wear them for 8 hours or more with no pain, not only to my back, but to my feet! This was a revelation! Additionally I felt that a mid heel supplied the look and the feeling of empowerment and sense of purpose that only a heel can deliver. Plus, they look great with everything; from a kicky ankle bashing trouser to a swishy midi skirt (all about the midi) they just work. And hence I've been working them into my shoedrobe ever since. The two latest pairs on the hitlist? 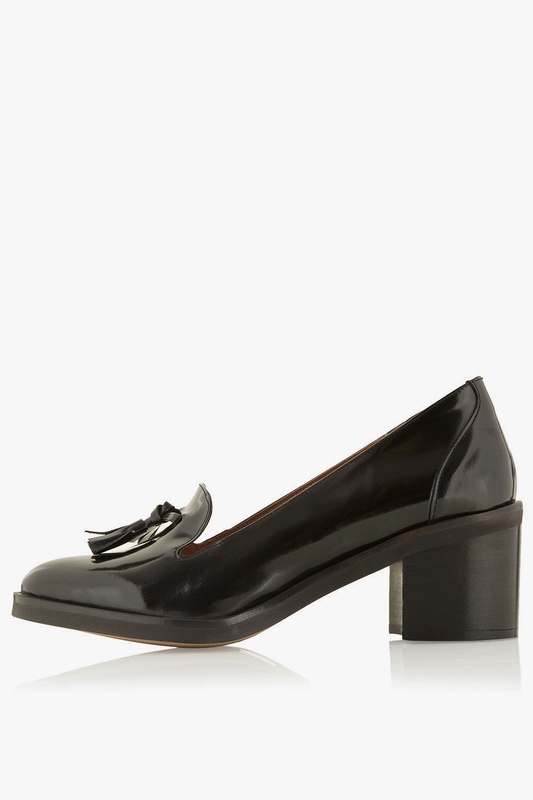 Both from Toppers, which is fast becoming my go-to shoe destination; the bottom pair are styled like loafers and, I must confess, I own them already in brown, but I love the patent black pair too. 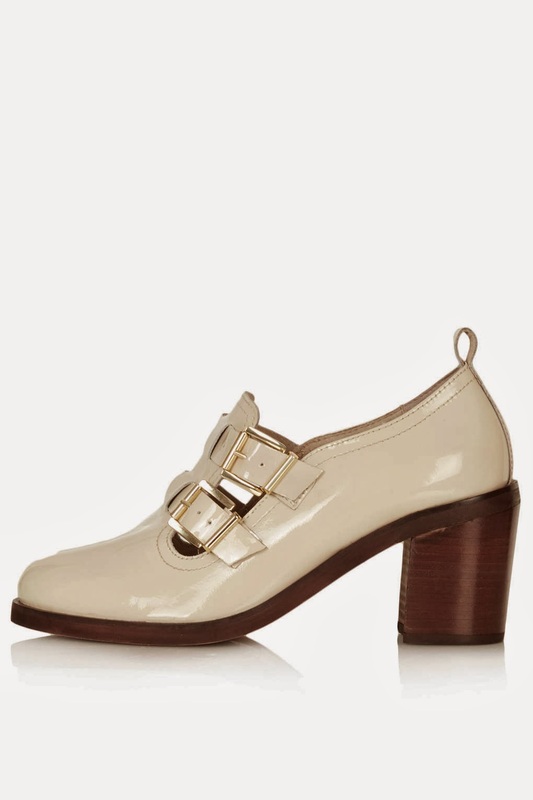 These are in the sale and they are definitely causing me a quandry: to buy or not? I know they're comfortable (I wear the brown ones a lot) but do I need two of the same shoe? Probably not, to be honest but that logic's never stopped me before! As for the top pair, well, hello there, seasonal footwear savior. Not a shoe, not a boot, but sitting somewhere in between and with a little cut out and contrasting heel, these are crying out to be worn with a pair of cigarette pants and slouchy knit now, and midi skirt and soft knit tee come the spring. They also come in black and burgundy, and I have them firmly in my sights. What do you think of the midi heel?